36 Have I Gone Too Far? The Best One Hit Wonders in the World... Ever! Violent Veg - 40 Favourite Songs for Dad! Double J: The 90s – The Greatest Decade in Music? 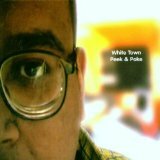 White Town is a British musical act and is the work of one man, Jyoti Prakash Mishra. White Town is best known for his song "Your Woman", which reached number one in the UK Singles Chart in January 1997. "Your Woman" also peaked at number one in Spain, as well as number two in Australia, number four in Canada, Denmark and Finland and number 23 in the United States. Mishra was born in Rourkela, India on 30 July 1966, but emigrated to the United Kingdom with his family at age three. 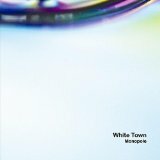 White Town was formed by Mishra in 1989 after he saw The Pixies play. Initially there were other members on guitar, bass and drums playing support gigs for various bands including Primal Scream. In 1990 he released his first self-financed record, White Town EP, on 7" vinyl.